The cat lover in your life will find this gift wrap to be MEOWvelous! 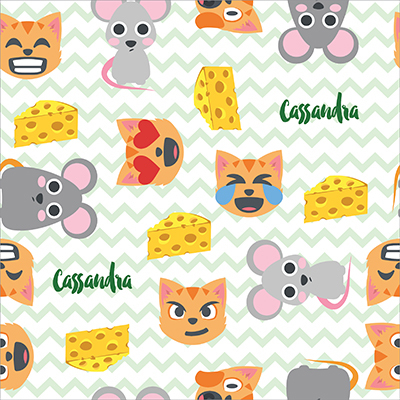 A light green and white chevron background sits behind emojis of cats, mice, and cheese. Add the recipient's name for a touch of personalization! PURRfect!